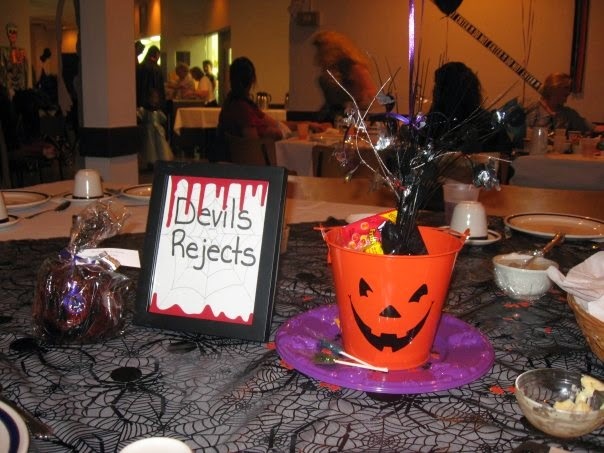 If your wedding is taking place on Halloween, the big day is right around the corner! Along with the usual decorations, you will surely want to have spectacular centerpieces that fit with the theme of your wedding. 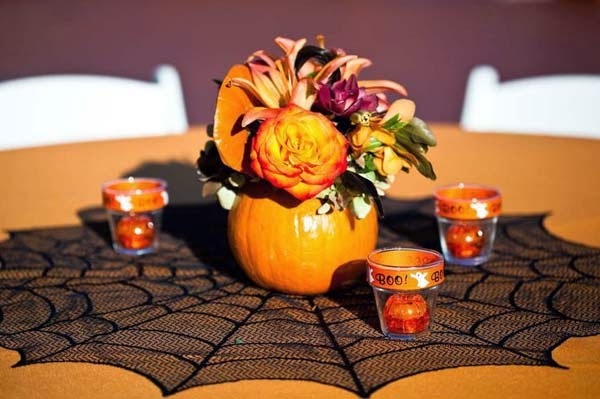 From the classic to the unexpected, these are some great ideas for Halloween wedding centerpieces. 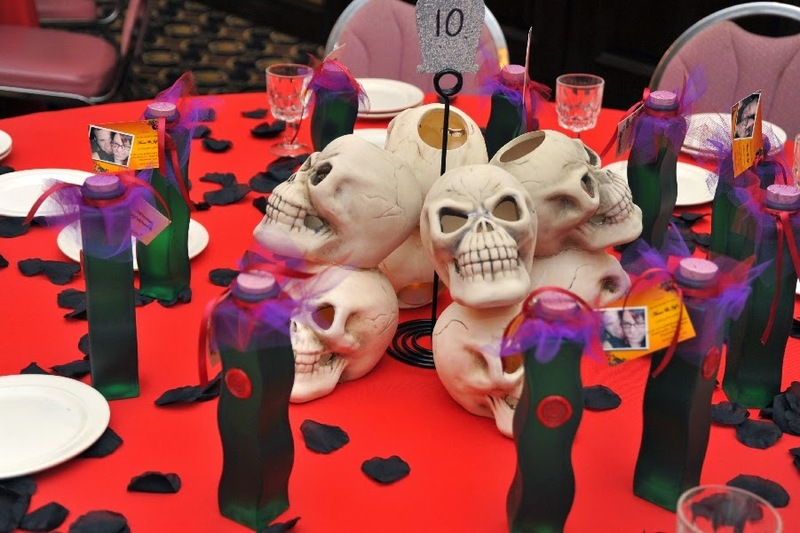 There are several different approaches that a couple can take towards a Halloween wedding. You can be very literal and really pay tribute to the holiday, or you can go for more of a Gothic inspired wedding plan. Whichever you choose, you will want to be sure to have decorations that reinforce your wedding theme. The most classic way to design a Halloween wedding is to really take the theme of the holiday and run with it. This might mean the bride in a non-traditional red or black dress with custom bridal jewelry, rather than the traditional white gown and demure accessories. If this sounds like your style, then personalized jack o'lanterns would be ideal for your centerpieces. This is no time for the basic face on a pumpkin, however; your wedding decorations call for something intricate and spectacular. Carve each pumpkin with a different spooky scene, such as a graveyard, complete with the initials of the newlyweds on one of the tombstones! Another idea for jack o'lantern centerpieces is to use three smallish pumpkins and place them on a tiered stand, like the sort typically used for pies. Designs to consider would be the newlyweds' monogram, Halloween motifs such as black cats and monsters, or even the faces of the bride and groom, if you have a talented enough pumpkin carver (rendering an accurate likeness is actually not as hard as it sounds). At the base of the three tiered stand, place clusters of fall flowers like mums and asters for more color. You can also take a more elegant Gothic approach to a Halloween wedding. Picture the bride in a black ball gown with custom bridal jewelry in black or dark red crystals. For the decor, skip the orange pumpkins in favor of candles and flowers. But these are not your typical white or pink wedding flowers; think Gothic and dark. Tall black candelabras with dark red taper candles would look magnificent on the dinner tables for a Halloween wedding. Dark red roses like Black Magic or flowers in a deep purple would be the perfect complement to the black candelabras. You can have the flowers dripping off of the candelabras or surrounding them in vases with a Gothic flair. Either way, the results will be impressive. A Halloween wedding might not be for everyone, but if that is the wedding date that you have selected, then by all means play it up. 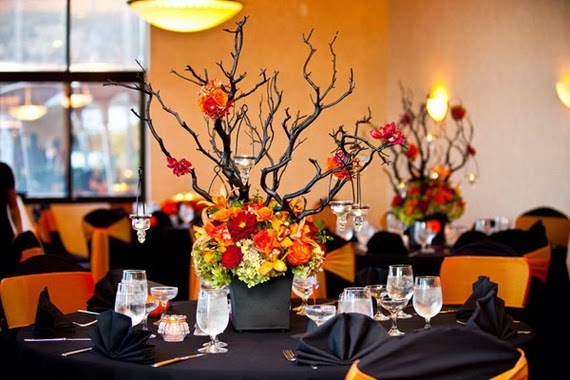 Whether your style is spooky, Gothic, or rustic and playful, you can really enhance your wedding reception with Halloween themed centerpieces. You can be sure that your wedding will be one that no one will ever forget!